Poor sociopath Frank Fane (Stephen Boyd) wants that Best Actor trophy so bad, he'll almost kill for it — literally — in this temples-bulging melodrama with all the Tinseltown trimmings. Where does GALECA start? Fane's disillusioned lover: Elke Sommer! Disillusioned pal: Tony Bennett! Agent Kappy Kapstetter (Kappy Kapstetter?! ): Milton Berle? Gossip queen Hedda Hopper, famed costumer Edith Head and Nancy Sinatra play themselves, adding a bit of glam reality, but the king of Academy Awards pics is to be enjoyed for its campy dialogue and deliciously over-the-top emotions (Harlan Eillison co-wrote). The final scene — our palm-sweaty hero sits on the edge of his velvet seat, waiting for Oscar host Bob Hope to shut up and just get to what he expects will be his magical moment — is stunning. Fun fact: Sanctioned by the AMPAS itself, The Oscar was nominated for two statuettes itself — and lost. A near-perfect poke at Hollywood puffery, written by (and featuring) satire gods Christopher Guest and Eugene Levy (Waiting for Guffman). Catherine O'Hara plays the appropriately named Marilyn Hack, the second-rate star of a decidedly random flick — Home for Purim, a highly emoted drama about a Jewish family in the 1940s South — that generates Oscar buzz. Watching the vain actress and her costars (played, sublimely, by the likes of Parker Posey, Harry Shearer and John Michael Higgins) act humble while jockeying for various nominations is painfully funny. As are Hack's suddenly giant, collagenated lips. Fun fact: Parker's ingenue character gets lots of praise for her bold performance in Purim as a lesbian who comes out to her dying mom pre-kreplach. Yes, Janet Gaynor and Frederic March were touching in the 1937 version, which was, yes, based on the early talkie What Price Hollywood? (1932). 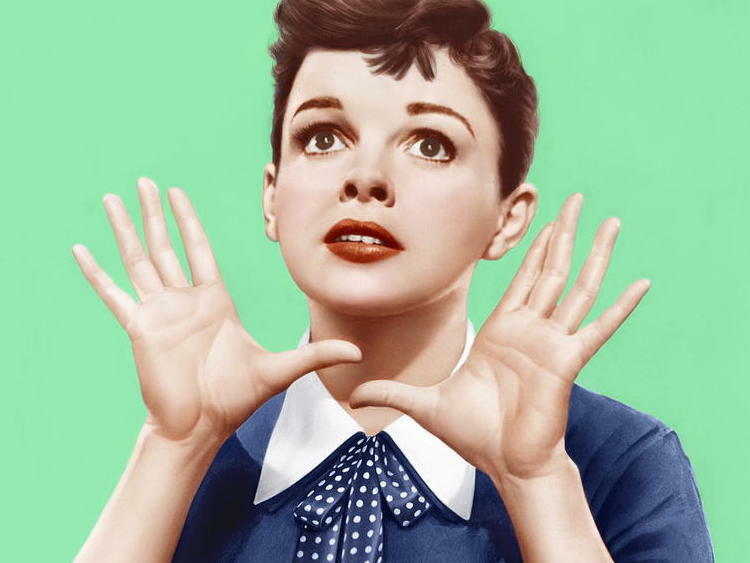 But no one beats Judy Garland as sweet, loving Vicki Lester, the actress who rises from dork (real name: Esther Blodgett) to elegant, humble name-above-title. And no one trumps James Mason as her self-pitying husband Norman Maine (James Mason), a suicidal alcoholic who sees his own acting career sink like a Klieg light. When Esther, er Vicki, glides to the stage for her Best Actress trophy, and a blitzed Norman ruins the moment for all to see, it's sad indeed. And don't get GALECA started about that final tearjerking scene. Fun fact: Esther's Oscar debacle was included on several of the movie's posters. Note: GALECA shant mention the Barbra Streisand/Kris Kristofferson version of 1976, and not just because it was set in the music world instead of moviedom. It's simply not an evergreen. In Neil Simon's '70s-chic comedy about various histrionic guests at the Beverly Hills Hotel, Maggie Smith steals the limelight as Diana, a British actress up for her first Academy Award. Her jitters are exacerbated by worries that her closeted husband and best friend (Michael Caine) is about to leave her. Fun fact: the cast and crew were granted access to the actual Oscars, so when Diana and her man walk the red carpet at the Dorothy Chandler Pavilion, that's the real deal. Oh, and Smith won a Best Supporting Actress Oscar for her role. Sweet! The premise is thunderously funny: four pampered stars of a Vietnam War flick (played by Ben Stiller, Robert Downey Jr., Brandon T. Jackson and Jack Black) are thrown into the jungle for a big scene, guerilla-style, and think the real-life, deadly drug gang they encounter are just acting! Stiller, as Tugg Speedman, a faded action star a la Bruce Willis, chews up the scenery, almost literally, in this clever skewering of showbiz entitlement and grandiosity. Yet there's wish fulfillment too: naturally, the men's daring exploits are captured on film, leading to a monster hit and Tugg's first Oscar! Un-fun fact: Tugg's costar Kirk (Downey Jr.), an insufferable, Academy Award-laden method actor, dies his skin to play an African-American for his part, Tropic's dicey jab at tokenism that many moviegoers found painful instead of painfully funny. Downey Jr., nonetheless, was nominated for a Best Supporting Actor Oscar for his spin as a white guy playing a black guy so he could snake another Oscar. What a meta-go-round! It could happen this Sunday night! Thrilled over his Oscar win for playing a gay soldier, hipster movie star Cameron Drake (Matt Dillon) gives thanks to his gay acting coach from his high school days. Trouble is, said teacher Howard Brackett (Kevin Kline) is in the closet with an unwitting fiance (Joan Cusack)! Groundbreaking for its long man-on-man kissing scene (Howard sparks the interest of a showbiz reporter played by Tom Selleck), Out actually rings funnier and braver nearly 20 years after its debut. And not just because homophobia deserves tweaking more than ever — the showbiz humor shines too. Actor Cameron's fellow noms, revealed by presenter Glenn Close with perfectly wan smarm, include "Paul Newman for Coot": Fun fact: screenwriter Paul Rudnick's inspiration for Out came from an actual Oscar moment. In 1994, when Tom Hanks accepted his Best Actor award for his role as a man suffering AIDS in Philadelphia, he thanked his own high school drama coach and flagged him as gay — only in this case with the teacher's approval. Intense Faye Dunaway as intense Joan Crawford accepting her Oscar for her comeback flick Mildred Pierce (1945) while sick in bed, with reporters and radio mics surrounding her? As tasty as cherry pie! Fun fact: the scene wasn't a case of "creative license" — Crawford milked the moment pretty much as depicted! Crawford's silver-screen rival, Bette Davis is admirably self-aware in this cautionary showbiz tale as Margaret, an aging movie queen desperate to regain her fame (and youth). The woman is so frustrated she can't land great parts, she gets trashed, grabs the Oscar she won in her salad days, and takes her tiny friend on a wild joyride in her car. Maggie got a D.U.I., while — fun fact — Davis herself landed an Oscar nomination. If Oscar were truly anthropomorphous, he'd be running for cover in the final scene of this chunk of cheese starring Whitney Houston in her singing and acting prime. Thanks to smitten bodyguard Frank (Kevin Costner), superstar Rachel Marron (Houston) is able to evade a psycho stalker through most of this romantic thriller. Somehow, the would-be assassin breaks into the Academy Awards pre-show, hides a gun in a TV camera, and starts shooting at Rachel just as she's about to accept her Oscar for Best Actress, live! Hmmm, wonder if the show enjoyed a ratings bump the following year. Fun fact: GALECA will always love-hate this shameless pleasure. "Who, who, will win the Oscar" intones the narrator in this fun, respectful spoof of awards races starring . . . Bugs Bunny! Filmdom's most animated rabbit one-ups the aforementioned Frank Fane of The Oscar as he begs for the prize even after losing to — spoiler alert — James Cagney. The snarky cartoon is mixed with clips of L.A.'s then-hopping nightlife, with stops at the Trocadero, Hollywood Bowl, Coconut Grove, and Chinese Theater. Don't miss the epilogue, in which Bugs winds up winning something in an exchange that's genuinely, surprisingly gay. Now that's a fun fact! Oh, Lonely Lady, why do you taunt GALECA? Jerilee Randall (Golden Globe winner Pia Zadora) is no Frank Fane. This scheming seducer — a screenwriter despite her Barbarella remake-worthy looks — actually scores the little gleaming guy, who here isn't called Oscar, but rather some sort of mumbled "Major Award." An award that just happens to look like the Oscar and Emmy had one-night fling after a crazy night at L'Orangerie. And Jerilee is not a graceful winner. “I suppose I’m not the first woman here who had to [bleep] her way to the top!" she tells the quasi-Oscar audience. And then she pulls a Marlon Brando and rejects the prize . . . something none of the characters in the above cinematic treats would ever do.